Long before astrology and palmistry, cultures from all over the world used complex number systems to help gain a greater understanding of themselves and the world around them. 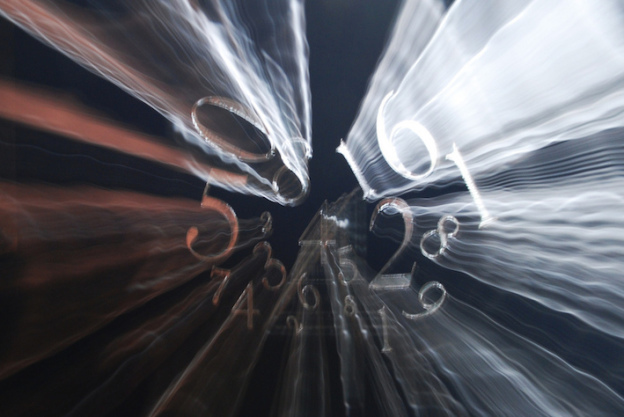 From early Christians and Egyptians to the Japanese, Greek and Hebrews, most cultures believe in the magic of numbers. When it comes to decoding your own name, you’ve got to look further than just the symbolism or history that surrounds it. With name numerology every letter in your name has a corresponding number and the placement of each letter determines the level of influence its numerological meaning will have on you. People who believe in numerology posit that numbers govern what happens within their lives in general and more specifically regarding relationships, finances and futures. Your name number is derived from a mathematical equation combining you’re the numbers of your name and your date of birth. Once your number is calculated, it can be used to create a detailed numerology chart that can help you better understand your present relationship, your current state of being and your future has waiting for you in the near present and many years away. While there is no concrete scientific evidence that numerology works, its prevalence and practice amongst so many varied cultures points to the fact that the numbers in our names mean something profound. And really, where’s the harm in doing the simple calculation and finding out more about your name?! Your name is special. It was given to you by your parents. Each letter in your name is associated to a number based upon its sequence in the alphabet. Each number is linked to a quality of intelligence. These numbers or qualities are combined into a formula that reveals much about your personality. These are the qualities of intelligence that you embody. Who are you? That’s not such a difficult question to answer when you look at the numbers. Name numerology demonstrates that you are essentially the name you’ve been given. Of course, you’re much more than this! However, your name can, and will, influence your life path. Every single person on this Earth is unique, even if some of us do share the same names. It is the principle of ours names that governs how we bring our uniqueness into expression. Name numerology helps us analyse our names and birthdates to reveal our mental qualities. According to this science, much of the discord we experience in our lives is directly attributed to our names! Your name has power, both good and bad, and it is extremely important to understand the implications of the combination of your name numbers and your birth date. This mathematical formula can help you understand your thinking pattern and inner potential. The impacts of such information are long lasting. Can you afford to be in the dark of what your name means and how it affects you? Name numerology is significant to each of us as it directly influences every living person. But, it is not only about obtaining a greater understanding about yourself. How about the people around you? What do their names mean and how do these names affect you? Do you want to understand your partner, friends and family members on a deeper level? Why do people act a certain why? Why do people have self-imposed limitations? By understanding the meaning behind a name, you understand the reason for restrictions and certain behaviours. Perhaps you spend a lot of time asking questions that you can’t find the answers to. Perhaps you want to understand the innate potential you have, the energy that is there within you, but you haven’t managed to harness quite yet. Perhaps studying the numerology of people’s names could help clarify things for you! Once you’re able to understand your mind through my detailed analysis of the numerology of your name and how your mind works you will begin to tap into that potential that’s just waiting to be used. And guess what? As you tap into the abundant energy of your name you’ll start to feel more balanced and happier. I guarantee it. Working out your own name numerology is really easy and worth a try. Basically it works like this: the nine whole numbers of numerological divination have symbolic meaning. Our first names are our foundations! The numbers 1-9 each have special meanings and messages to give you. But, there is simply too much information on each of them to list here! You don’t want to be reading all day, do you?! No, you’ve got better things to do! So, now that you have your number, what are you going to do about it?! Well, that’s easy: this is where I step in. There are so many websites that offer free numerology consultations, only they’re not really consultations at all. Most of these websites provide a mathematical algorithm that then churns out your number, the one you already know, according to whatever program or philosophy its creators subscribe to. This creates potential confusion as different sites will provide you with different numbers. If you want an accurate reading of your name the best next step would be to call me here for a short one-on-one tailored discussion, where we can talk about how to best release your inner potential. Are you excited? I am! Get in touch today. I’m waiting for you. This entry was posted in Numerology, Superstition and tagged life path number 9 - 1, numerology, numerology 9 - 1 on November 10, 2014 by Mirella.